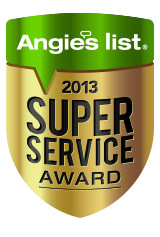 The Only GREEN Certified Buyer Broker in Ohio! | My Buyer Broker Advocate! I also have a “green” certification and I have a significant depth of science knowledge. I think one of the things I discuss most is the extreme cost inefficiency of some “green” products. For example I was asked the other day about a product being sold as a “Solar generator”. It was actually a battery system, a 75 watt solar panel and a charge controller. A 75 watt solar panel would take about three or four days to charge the battery system, so for practial use it was crazy. But the consumer didn’t know what to look for or how to judge the advertisement. Anyway, congratulations on being better prepared to help home buyers! « Toxic Drywall Could Be Largest Home Defect Lawsuit in US History!